For years, our company has been helping people in the local area operate their automatic garage doors smoothly and safely. Find out how we solve various problems and make improvements to get a clear idea of what we can do for you. Customer Issue: Old opener broke down. Our Solution: Our crew checked the drive-system and the rail before inspecting the circuit board and motor. The condition of the unit was too far gone, so we recommended the customer get a new one. 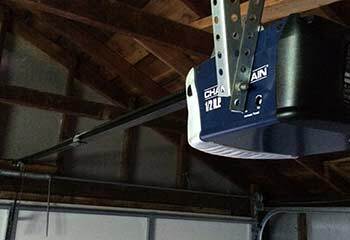 He agreed, so we installed a new Genie Model 4042-TKH Belt Drive Garage Door Opener for him, and then tested the door and made sure it was able to open and close effortlessly. 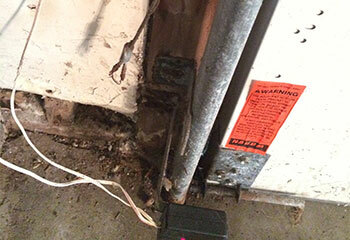 Our Solution: Our team did a complete check and found that one of the cables had become terribly frayed. We carefully removed it and installed a new more durable one in its place. We then tested and checked the door again, and made sure the springs were in a good working condition. Customer Issue: Worn and rusty rollers. Our Solution: We fit a set of brand new rollers that made her door work smoothly. Our Solution: We replaced the broken panel with a new timber one to match the rest of his door perfectly. Our Solution: Matt was having issues with the motor on his Chamberlain WD1000WF. We replaced the motor with one that will work better and is perfectly compatible with this model. We’re the company to call when you want the most qualified technicians for your repairs. We arrive fully equipped with quality products to complete all our jobs. We're known for our fast turnaround time and finish most jobs on the same day. Our technicians follow industry safety standards and procedures at every job. 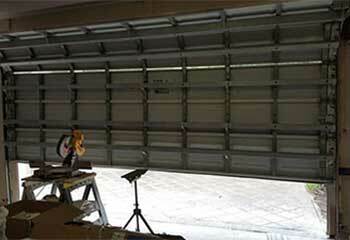 When it comes to garage door repair, there’s no one better to go to than our professional team. 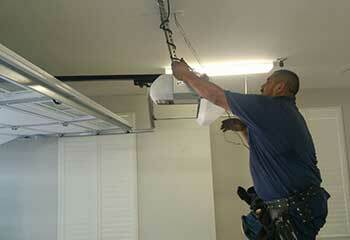 We also handle everything from maintenance to installing. To learn more about us and what we have to offer, click right here. 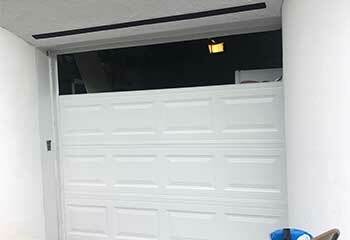 Thank you for choosing Garage Door Repair Sammamish! One of our experts will be in touch soon. Feel free to browse our website for FAQ, tips and more useful information in the meantime!